Industrial Inventions Of Yesteryear Are Reclaimed And Reinterpreted To Deliver The Style Demands Of Today. 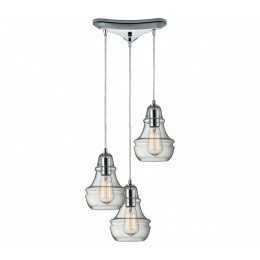 The Classic Filament Style Bulb Can Be Showcased Within A Clear Or Mercury Blown Glass Shade Or Proudly Shown Alone. 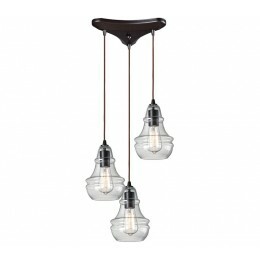 An Oiled Bronze Finish With A Cloth Cord Or A Polished Chrome Finish With A Clear Cord Offer Versatility For Any Decor. 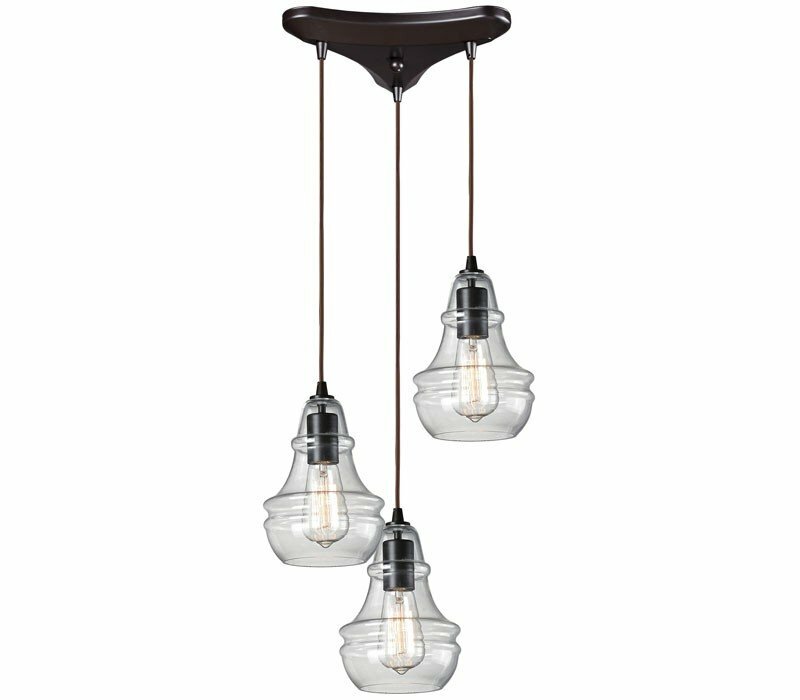 The ELK 60047-3 Menlow Park collection Pendant Lighting in Oiled Bronze uses Incandescent light output and brings Antique style. The total wattage is 300 and the voltage is 120 volts. The ELK Lighting 60047-3 requires 3 bulbs (not included). Additional Information: Shade-Blown Glass - Type 1.